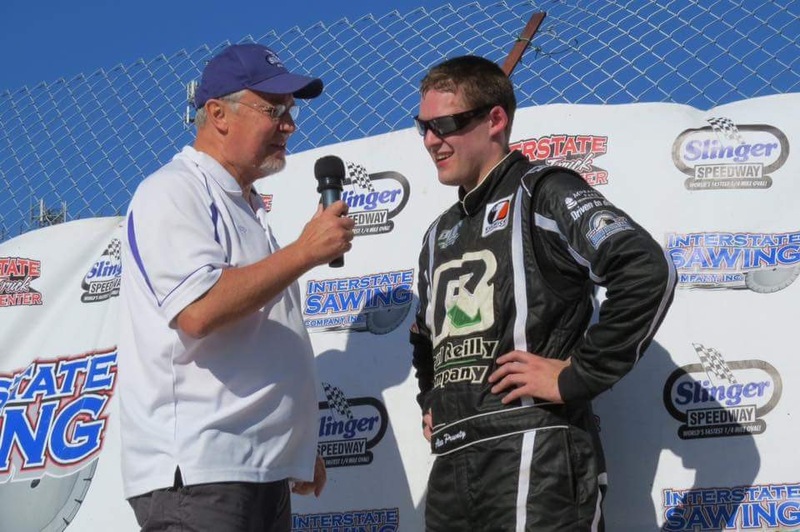 Alex Prunty Racing: 3rd Place Finsh at Slinger Opener! 3rd Place Finsh at Slinger Opener! Slinger, Wis., May 7— Taking advantage of a brake issue by early race leader Gary LaMonte, Steve Apel stormed to the lead on lap 54 of the 75-lap super late model feature and never looked back, capturing the victory in the 70th season opener Sunday afternoon at the Slinger Super Speedway. 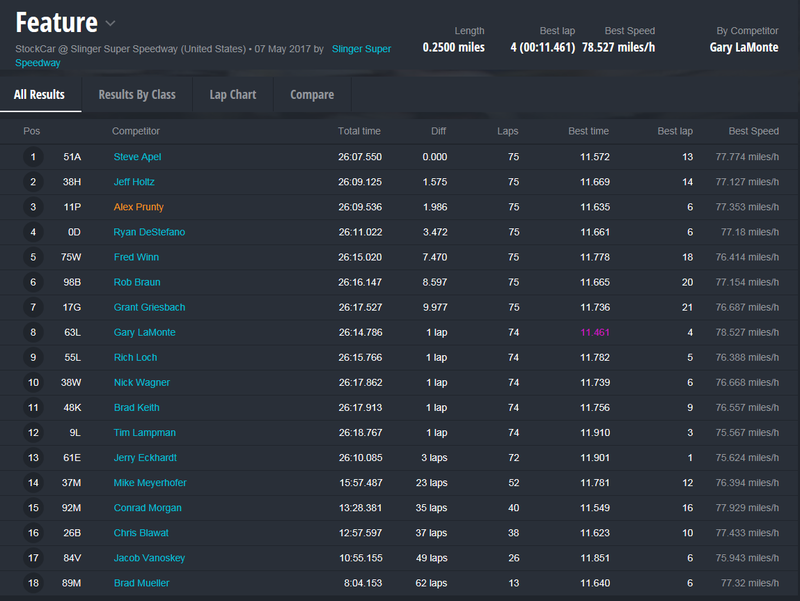 After LaMonte’s issues dropped him back in the running order, Jeff Holtz and Alex Prunty battled for the runner-up spot with Holtz edging Prunty for the position at the checkered flag. Ryan DeStefano battled all day and finished a respectable fourth while Fred Winn scored his first top five in nearly four years. Rob Braun and Grant Griesbach finished sixth and seventh respectively while Gary LaMonte’s late race brake issues dropped him to eighth after pacing the first 53 laps of the event. Rich Loch and Nick Wagner rounded out the top ten finishers. 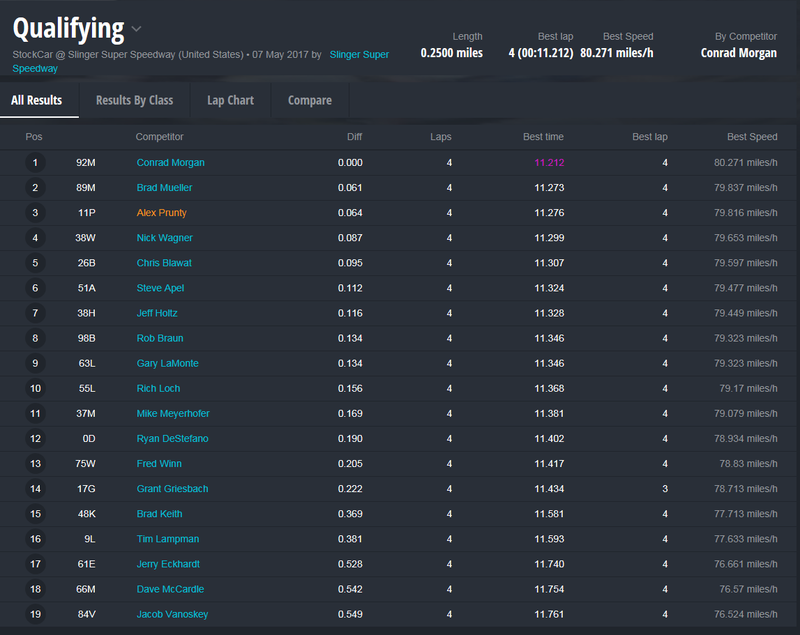 The event was slowed twice by caution flags, both for minor incidents, and early contenders Brad Mueller, Chris Blawat, and Conrad Morgan all retired with mechanical issues before the event was concluded. 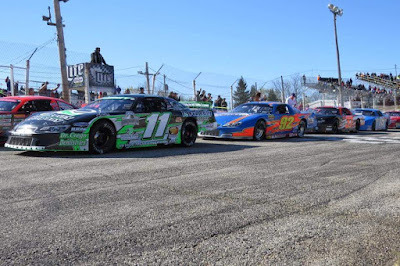 Jerry Eckhardt broke his own record for being the oldest event winner at Slinger by capturing the super late model semi-feature over Brad Keith and Jake Vanoskey. Tim Lampmann finished fourth and David McCardle was fifth. Brad Keith, Ryan DeStefano, and Steve Apel each won a super late model heat race and Conrad Morgan returned from injuries suffered last year in grand style by turning in the fastest lap in qualifying at 11.212 seconds.